India abstained when the Rome Statute for an International Criminal Court (ICC) was adopted in 1998. There is nothing to indicate that there has been a shift from this position. The Indian government may have a point about the privileged position given to the Security Council to initiate or halt investigations, especially as only two of five of its veto-wielding Permanent Members have ratified the Statute. But its other arguments are spurious: acts of terror are clearly covered by the Rome Statute; and the ICC’s jurisdiction is complementary to the primary role afforded national courts. Yet, even though it seems that the government is unlikely to change its mind anytime soon, the Rome Statute has still helped anti-impunity efforts in India. Not so long ago, ‘impunity’ itself was an unfamiliar word in the Indian context. It was not that mass crimes had not occurred. 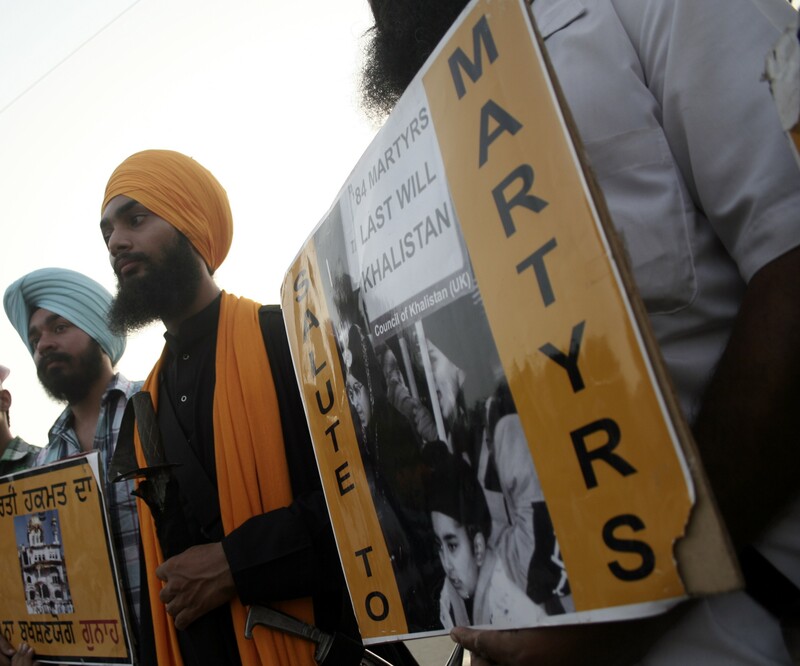 They have been part of the routine in India over the years: the anti-Sikh massacres in 1984; the killings in the communal violence in Bhagalpur in 1989; the mass disappearances and cremation of unidentified and partially identified bodies in Punjab (1980s-90s); or the Bombay riots and ensuing bombings in 1992-93. These are merely some among the many large-scale massacres that remain in public memory. Further, it was not that the complicity of state power in these events passed unnoticed. It was, rather, that the vocabulary had not yet been discovered that could describe in a simple way the phenomenon of crimes committed in the shelter of state power, and with protection from prosecution. Two devices have stood between wrongdoing and punishment. First, the ‘good faith’ clause found in many Indian laws that presumptively declared that a person (usually an official), acting under the cover of a law would be presumed to have acted in good faith. And second, the so-called ‘sanction’ power by which the state reserved to itself the power to decide if, and when, a ‘public servant’ could be prosecuted. The government was not obliged to explain such decisions, nor did it issue guidelines on how this power should be exercised. It was not that the Rome Statute gave meaning to ‘impunity’ in India. It was the carnage in Gujarat in 2002. On February 27, 2002 the burning of a train coach resulted in the death of 58 persons returning from Ayodhya, the site of a mosque that had been demolished in 1992 by protesters demanding a Hindu temple be constructed on the site. The days that followed witnessed gruesome spectacles of violence; according to official figures, 254 Hindus and 790 Muslims were killed, and many more were injured and over 200 missing. The police, the bureaucracy and the political establishment all the way up to the Chief Minister, were implicated in the violence. The anti-Sikh riots in 1984 – where about 3000 Sikhs were massacred after the assassination of Prime Minister Indira Gandhi by her Sikh bodyguards – had demonstrated the difficulties in bringing to trial those shielded by state power. Similarly, although a Commission headed by a sitting judge of the High Court inquired into the Bombay riots in 1993, and its report indicted policemen and politicians, no action ensued. This experience of mass crime coupled with state impunity had, therefore, stacked up by 2002. The killings in Gujarat in 2002 deepened the recognition by all the victims of state complicity in violence, and especially so of religious minorities targeted by the violence. In the aftermath of the Gujarat violence, there was an urgent clamour to enact a law to address episodes of ‘communal violence’, meaning violence along religious, caste, ethnic or linguistic lines. In 2005, the government of the day introduced the Communal Violence (Prevention, Control and Rehabilitation of Victims) Bill, in Parliament. Perversely, in the preamble the Bill’s purpose was stated to be “… to empower the State Governments and the Central Government to take measures to provide for the prevention and control of communal violence …”. This plainly missed the point, as it was state complicity in violence that needed to be addressed. But civil society groups worked hard, drawing on the Rome Statute, to propose amendments to the Bill that would break down the structures of impunity and render the state and its agencies accountable. For example, the notion of ensuring there is no defense of superior orders, or requiring the responsibility of commanders for the actions of their forces, were put forward; so too concepts like holding officials liable for culpable inaction or the dereliction of duty, and the idea of `constructive responsibility’. This effort to place clear duties on those commanding the police and security forces drew heavily on the Rome Statute, and the international criminal law principles it enshrines. The Rome Statute provides the language to challenge impunity in India. Likewise, as regards defining crimes, the Rome Statute categories of ‘war crimes’, ‘crimes against humanity’ and ‘genocide’ have been broken down to their constituent elements (also drawing on the Statute), and this has helped to push for amendments to the Communal Violence Bill. There have been debates about whether the Gujarat violence met the definition of genocide, or crimes against humanity, as set out in the Rome Statute. This has not been incidental; there has been a deliberate effort to draw on international criminal law. Further, interest in the ICC was immediate and explosive in 2002, in the wake of the Gujarat violence, and the Rome Statute is inspiring more thinking around impunity and accountability. It is impacting debates on other bills aimed at greater government accountability for violence, including in relation to torture, and violence against women. The International Criminal Court itself, it must be said, has not evoked this enthusiasm. Not to put too fine a point on it, it is too distant to be real, and the problems in India must be dealt with in the here and now. Delay is endemic in Indian courts, and the fact that the ICC too is plagued by delay dampens expectations. Moreover, the ICC’s exclusive focus on Africa, and its seeming inability to challenge the US, UK, or NATO, weakens the Court’s reputation as being concerned with crime, and not with the might and power of the criminal. Nevertheless, in India, even though the ICC itself is a remote prospect, the Rome Statute has provided the language in which to understand, and challenge, impunity. Usha Ramanathan is based in New Delhi, and works on the jurisprudence of law, poverty and rights.